“An old bridge is basically worthless for preserving good dental health. In essence, it’s a bridge to nowhere,” Palmer said. “So why keep a bridge to nowhere? For most patients, implants are a much better treatment alternative because they preserve the bone of the jaw, can be flossed easily, do not decay, and function just like natural teeth. Also, to get implants you don’t have to sacrifice healthy teeth, which is required with bridgework,” she added. According to Dr. Jaime Lozada of Loma Linda, California, in the last two decades prosthodontic treatment planning has changed dramatically because of the acceptance of dental implants as a viable long-term option for replacing missing teeth. “Why consider higher-risk procedures when dental implants are more predictable and a better alternative,” he said. Palmer explained that bridges generally fail after five to 10 years as patients have trouble flossing them. “Because these bridges link missing tooth spaces to adjacent teeth, many patients find it very difficult to floss the bridge. Therefore, root surfaces below and around bridgework often decay, if not kept meticulously clean by flossing. It is impossible to repair this marginal decay, so the entire bridge must be replaced,” she explained. 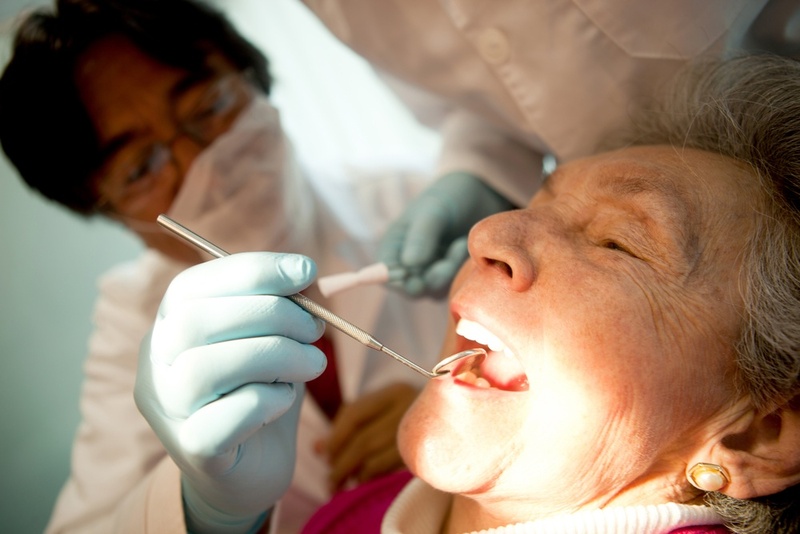 “Many Baby Boomers are coping with dental problems associated with advancing age, and for most that means replacing aging bridgework,” said Palmer. “With an estimated two of three Americans having at least one missing tooth, implants are becoming the preferred tooth-replacement option. Implant surgery is one of the safest, most precise and predictable procedures in dentistry,” she said. Find a dental implant expert near you using the "Find an Implant Dentist" tool. Dentists credentialed by the American Academy of Implant Dentistry (AAID) have met rigorous qualifications that demonstrate they have the deep knowledge and critical skills essential to successfully placing implants and replacement teeth. Dentists consulted for this article include Olivia Palmer, DMD, FAAID, DABOI/ID of Atlantic Implant Dentistry in Charleston, South Carolina, and Jaime Lozada, DMD, FAAID, DABOI/ID of the Loma Linda University Graduate Program in Implant Dentistry in Loma Linda, California. This article originally appeared in 2008 and has been updated for relevance and accuracy.